Zack lives in Denver. At the start of 2017, he visited me in Portland for a week, and I led him through 8 days of intensive brand building exercises. Pipe Dream Passport is a storytelling platform that chronicles Zack's life traveling America in a converted Sprinter van with his dog Chase. A collection of on-brand illustrations for merchandising. Pipe Dream = An impractical hope, scheme, or vision. Passport = A license to travel and access experiences outside the norm. 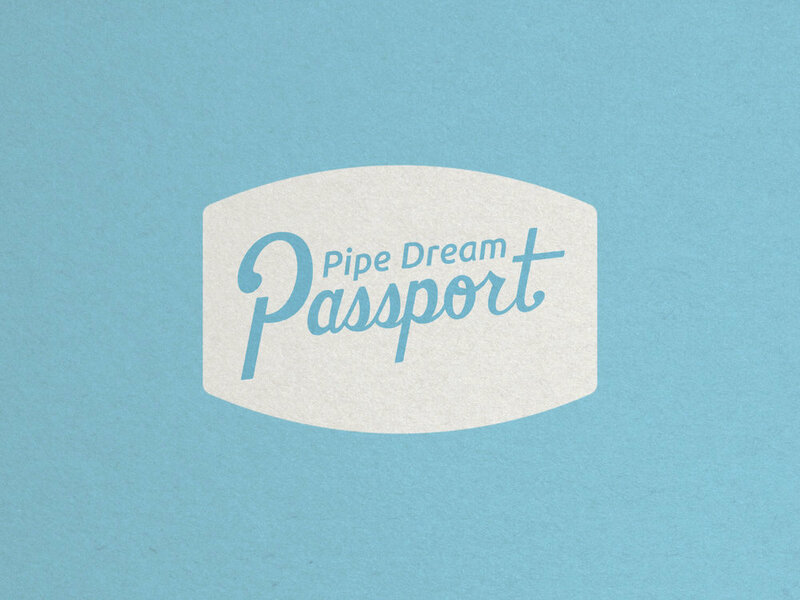 Pipe Dream Passport is about exploring a world of adventure and meaning that once seemed impractical or unreachable. We want Zack's blog to quickly capture the imagination of new visitors. So, we tapped into his personal motivation for starting Pipe Dream Passport - the universal experience of feeling stuck in one's job as life and opportunities pass by. I always was a wanderer, but as I grew older and took on the details of adult life, my ambitions and desire to explore were put on hold. Over time, I found the confidence to reach for my dreams, and now they’re taking me places I never thought I could go. When my dream job in product design became a reality, I found myself feeling completely dissatisfied. Something was definitely missing. So, I changed course and laid out a new plan; I’d explore the beauty of America with my furry friend Chase. How? By trading my job for my own business, my apartment for a converted Sprinter van, and my city for the open road. When I finally worked up the courage to share the idea with family and friends, I was surprised to learn that many of them wanted a way to stay updated on my travels. So, this is my journey. I invite you to follow along and enjoy the sites, stories, and adventures as they unfold. And if you find a shred of wisdom or inspiration in my experiences, send me a note. I’d love to hear from you.